Southern Home Improvement Center, Inc. Comment: Two downstairs French doors and one upstairs bathroom window need replacement. Comment: We have two full length windows that need to be replaced. They are older and the glass is very thin. My son broke one of the panels yesterday so we have a board up. We would like to just replace both windows to make them safer. Comment: Need to remove old window and replace with new window. Must happen within the week. Standard double pane window in bathroom. Thanks! Comment: We own an apartment building with 4 units. All the units need windows and I'd like a quote on replacing them. Metairie Window Replacement Companies are rated 4.71 out of 5 based on 252 reviews of 12 pros. 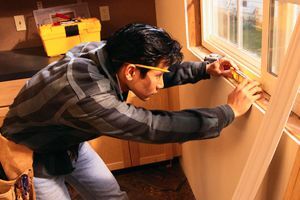 Not Looking for Windows Contractors in Metairie, LA?